So, I registered for another race today. 26.2, I am coming for you! I found it quite interesting that EXACTLY EIGHT MONTHS AGO (to the date!) I announced that I was running the half distance at this race…and crazily enough, April (when the race is held) is EIGHT MONTHS from now! 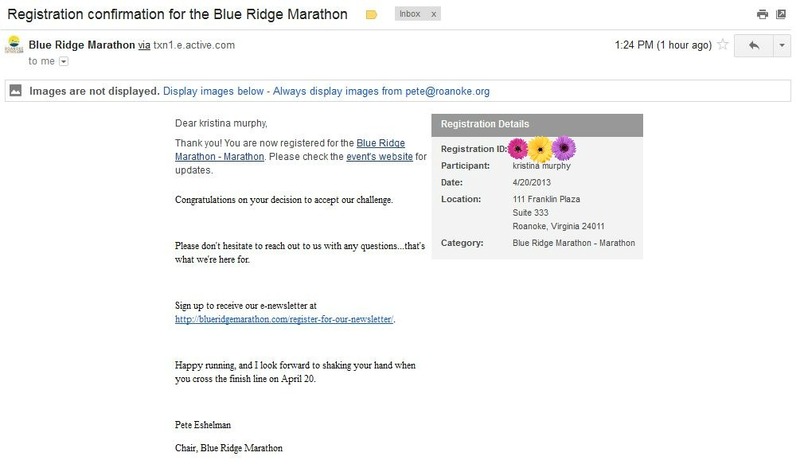 I have a lot more exciting things to share about this race – and am just BEYOND stoked that I’ll be returning to Roanoke to conquer the full distance this time! If you are looking to run a supremely gorgeous and well-organized event, look no further than this race! 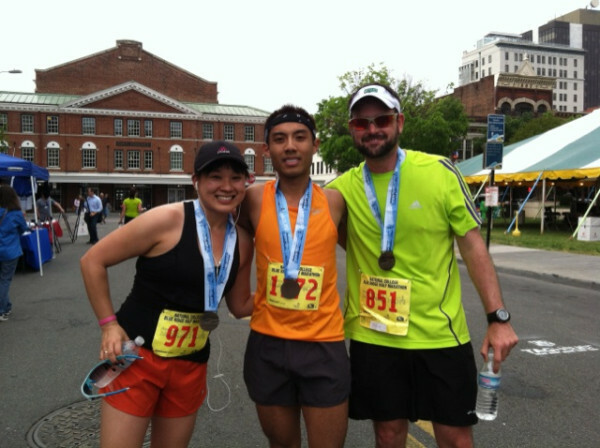 Me, Jason and David after the BRM 1/2 this year. Here’s my recap from this year’s event >> Humbled (and happy). So what do you say? Are you ready to travel to the heart of the Blue Ridge and challenge yourself to America’s Toughest Road Marathon? Stay tuned to my blog for more updates and fun stuff & if you’re ready to join already, check out #runchat‘s feature on the race here along with some sweet registration discount codes for both the half and full marathon. What’s been your most CHALLENGING race? What made it so difficult? Good for you in keeping up w the races!! I admire that so much! I’m just a recreational runner but you guys inspire me! SPALove! Sounds like an awesome race!!! Can’t wait to follow your training! Thanks, Mindy! It’s a super fun one for sure…I’ll have lots of updates regarding the race, town and training!!!!!!! OK everybody … stop talking about it, and sign up! !